Nadia Hashimi has a habit of introducing her readers to characters and story lines they might not otherwise be drawn to or give much thought to. With 2014’s The Pearl That Broke Its Shell, she brought the long held tradition of bacha posh to the forefront. 2015’s When The Moon is Low took us on an immigrant’s journey from war torn Afghanistan to England via Iran, Turkey and Greece. This year she introduces us to yet another unforgettable story with unforgettable characters in A House Without Windows. Everyone in their small village knows that Zeba’s husband Kamal is a bad man. Public drunkenness is just one of the many things he does that goes against the teaching of the Quran. And while he is bad, he’s still a man in a place where men are not questioned and certainly not by a woman. When he’s murdered and Zeba is found standing over his body, there’s not much doubt that she killed him, but why? As a boy, Yusuf’s family fled Afghanistan. Now an American attorney, he feels the pull of his motherland and returns to help those he can with legal assistance. With a closed mouth, borderline hysterical Zeba as his client, and neighbors unwilling to get involved and tell the truth about the kind of man Kamal was, Yusuf doesn’t stand much of a chance of defending her. 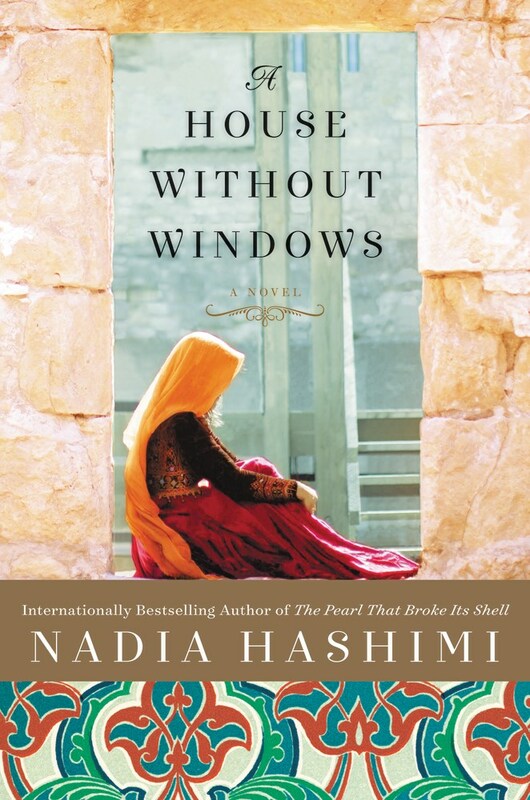 As she awaits trial in prison, a house without windows, Zeba reminisces about her childhood with her fiery mother, Gulnaz the sorceress, and her disappearing father. Through these flashbacks we learn how her mother’s domineering ways shaped Zeba into the docile woman that made her the perfect victim for Kamal’s abuse. Though she doesn’t appear to be as strong as her mother, readers will find that Zeba is every bit as determined and smart as the strong willed Gulnaz. Her time in prison also introduces us to a lively cast of characters. There’s a very Orange is the New Black meets Wentworth vibe going on that makes for a bit of comic relief when Zeba’s story becomes too heavy. Much like Bea in Wentworth, Zeba becomes the unlikely leader of her fellow prisoners, a role she at first rejects and gradually accepts. Once again, Hashimi approaches difficult subjects with class and grace – covering the life of women in Afghanistan and the struggles of Yusuf as an American raised, Afghanistan born man who has forgotten the written and unwritten rules of his country. Anything this author writes is guaranteed to be a good read and I can’t wait to see what she writes next.